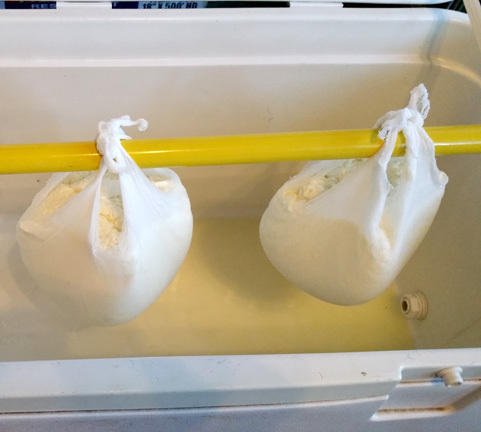 Homemade Chevre (Fresh Goat Cheese) | Have YOU Ben Starr Struck? This entry was posted in Side Dishes, Vegetarian and tagged cheese, cheesemaking, goat, homemade, milk, raw milk, rennet. Bookmark the permalink. Happen to know any good places in Dallas to get goats milk? Cotty, the easiest place is the Hidden Valley Dairy in Argyle, just call ahead to make sure they have inventory. The BEST place is my friends at Latte Da Dairy in Flower Mound, but you need to get on their list and be a regular buyer. 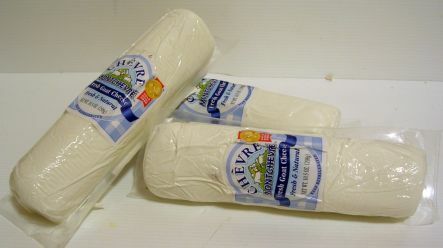 Chevre is about as simple as it gets. 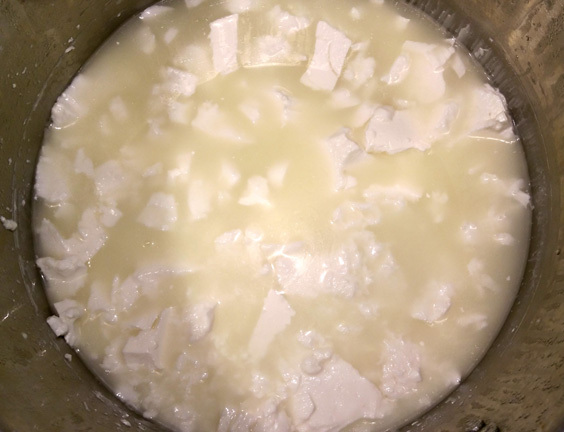 Bring fresh goats milk to room temp add a smidge of culture and a couple of drops of rennet, give it a quick stir, cover the pot and set aside for 18-24 hrs. Yes, that does make it sound just whey too easy , but you all know we can not leave it alone at that … Read on oh Cheese lovers. I’m back, Monica! At least for awhile. Life is so busy! !